This was a clean out the fridge breakfast that turned out to be AMAZING and something that I would eat over and over again. I had spinach leftover from this Easy Weeknight Bowtie Pasta, salsa leftover from this Slow Cooker Fiesta Chicken, tortillas leftover from these Chicken Enchiladas and a little sausage leftover from biscuits and gravy. I hate wasting food, so I try to find ways to use up every last thing. 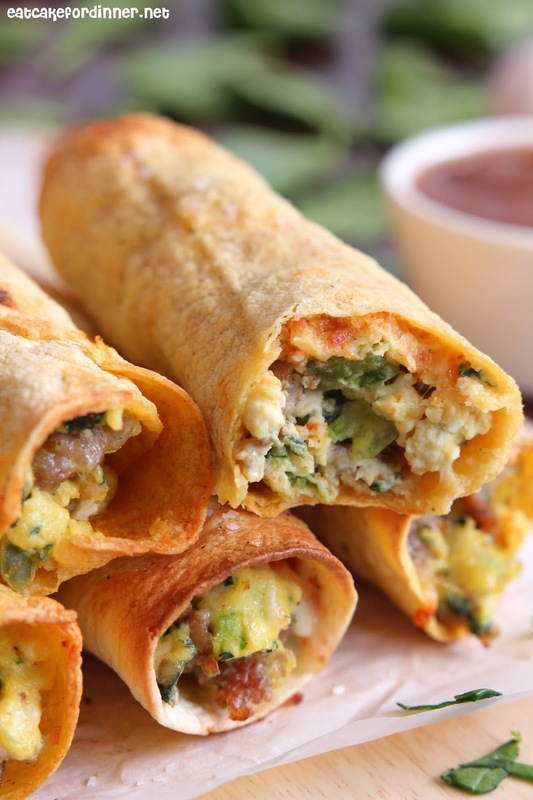 Stuffing everything inside a tortilla is the perfect way to use of those items. Baked taquitos are my FAVORITE. There is no reason to fry a taquito ever again, okay!! They get plenty crispy by baking them and they are so much healthier that way. 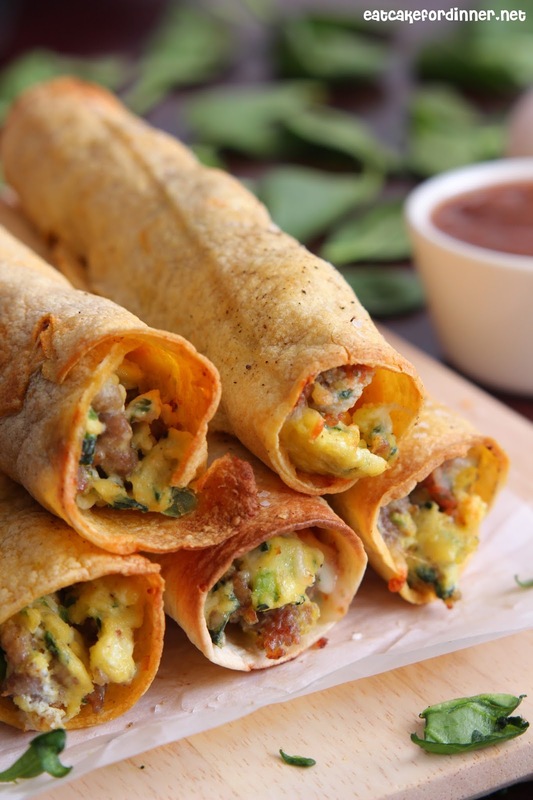 These breakfast taquitos are fantastic. I shared this recipe over at The Recipe Critic's site. Click HERE to check it out. how many taquitos constitute a serving? It depends on how hungry you are. Sometimes I can eat two and sometimes I can eat three. I would say at least two per person and possibly more.